None of these are perfect, but someone should take a chance. More than 70 days have passed since Carmelo Anthony last played in a basketball game. He is not hurt. He is not considering retirement. He was merely exiled by a Houston Rockets team that signed him in August, only to come to the conclusion they no longer want him around the team in early November. 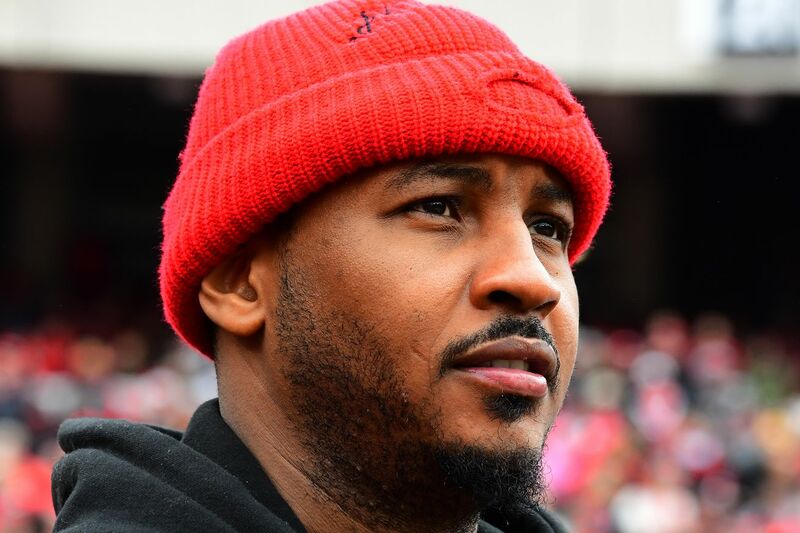 On Monday, they officially ended the very brief Melo tenure by trading him and cash to the Chicago Bulls, in a move to save on their luxury-tax bill. Chicago has no use for Melo and is expected to waive him or trade him again, freeing him to sign with whoever he chooses. The question is, can he still bring value to a team? The league has trended away from one-dimensional scorers and toward versatile Swiss army knife forwards who can shoot threes, defend multiple positions and put the ball on the ground. Anthony’s biggest tool has been his scoring ability. He struggled to do that in Houston, and his defense didn’t buy him any extra playing time, either. Anthony, though, is still one of the most heralded scorers in league history, still revered by many of his peers. The Rockets went out of their way to say their early slump wasn’t solely Anthony’s fault, though their decision to exile him and their success in the weeks following say otherwise. Anthony had an unceremonious end in New York when his iso-heavy, ball-stopping tendencies stifled the Knick offense. He didn’t fit in offensively next to Russell Westbrook and Paul George, and the Rockets could not find a fit for him in their high-powered offense. We’ll see if the NBA is indeed a three-strikes-and-you’re-out league. But Anthony still has options, according to The Athletic’s Sam Amick. There are a few teams that make sense for him. This is the most obvious scenario, because of Anthony’s relationship with LeBron James and James’ mild endorsement of the union. Playing with LeBron makes everybody better right? Let’s put that to the test. Send Melo to the Lakers and bring him off the bench to score for the second unit. Ivica Zubac’s uptick in productivity will probably save him from being the odd man out if the Lakers were to waive someone, leaving guys like Lance Stephenson and Michael Beasley as the most likely candidates to be ousted due to the addition of Anthony. And before anyone asks… No, the Lakers would never waive or trade Moe Wagner or Isaac Bonga in a Carmelo Anthony deal. Still, the Lakers have to be the early favorites. Damian Lillard and C.J. McCollum actively recruited Anthony when he was looking for a way out of New York during the Phil Jackson era. Anthony could now be best described as an inside-out post-up threat: a discount LaMarcus Aldridge if you will. Terry Stotts made Aldridge look like Dirk Nowitzki. Can he make Anthony look like LaMarcus Aldridge? Blazer’s Edge had a one-word emphatic answer, though: no. The Jazz were off to a slow start, but they’ve rallied midway through the season to make a playoff push like many expected. Still, Donovan Mitchell is their only shot-creator. They could use another player who can manufacture offense on his own, off the bench. Could Melo and Jae Crowder put their small issues aside and work together to get Utah into the playoffs? The bigger question is whether Quin Snyder could find a way to hide Anthony in that traditionally stingy Jazz defense. Jazz fans at SLC Dunk, however, are not into the idea. The Hornets are flirting with a playoff push, but they’re in danger of missing out if they don’t string together some wins. Nic Batum is shooting well, but his output is at a career-low. Miles Bridges is good and could become very good, but he’s only a rookie. Marvin Williams is Marvin Williams: a stretch four who can defend a few positions. What the Hornets need is another scorer in the front court who can diversify what it is Charlotte can do on offense. Anthony may be a fit. He could project to pair very well with Kemba Walker. The Heat make the most sense out of all of these teams. They’re a club that could use that type of scoring power on the perimeter, and Melo is a bona fide bucket-getter. Miami has the best conditioning team on the planet, and they’re home to one of his best friends in the league, Dwyane Wade. The Heat are also a defensive team with a dominant rebounder in Hassan Whiteside: their strengths compensate for Anthony’s biggest weaknesses. Erik Spoelstra is a coach who can fit Melo into his scheme and craft different opportunities for him all over the court. If it doesn’t work in Miami, it won’t work anywhere. If the Lakers won’t take Anthony, could their crosstown rivals snag him to provide extra scoring punch in their playoff push? Do the Spurs want to bring a smaller version of LaMarcus Aldridge off the bench behind the real LaMarcus Aldridge? If anyone can resuscitate Carmelo Anthony’s basketball career, it’s the guru himself, Gregg Popovich. They could use another punch off the bench anyway. Why not go for gold? Because why not? The Warriors have an All-Star laced lineup and DeMarcus Cousins just returned to the rotation. The only question mark is depth. It would be petty for Golden State to take a player the Rockets exiled and use him against them in the Western Conference Finals anyway. Some fans have pointed to the Sixers as a potential landing spot for Anthony, and on one level it makes sense: they’re starting Wilson Chandler at the power forward slot and are one of the teams that have inquired about trading for New York’s Noah Vonleh. Anthony, though, traditionally has not been a great defender, and the power forward position is tasked with switching on screens nearly every possession. Are Jimmy Butler and Joel Embiid’s defensive prowess enough to compensate for Melo’s mistakes? The 76ers are already working through their own chemistry issues. Adding Anthony to this mix might not be the best idea.